Automatically import call recordings into Voxjar through our integrations with phone systems, cloud storage providers, or using our API. Every call organized and at your fingertips. Whether you handle multiple brands, several different call types, run mixed teams, or just a single inbound support group -you can quickly find what you’re looking for. Customize your analytics, with the perfect mix of automation and human experience and intuition. 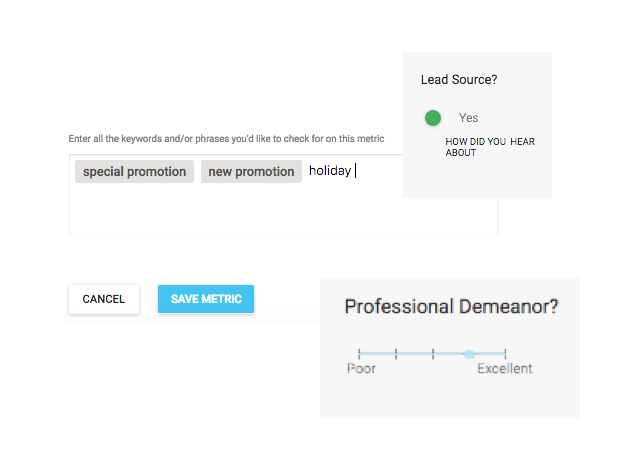 Keyword and phrase spotting easily tailored to each type of call. Manual evaluation forms to add a personal touch on the calls that need it. Voxjar’s A.I. engine that learns how to tag and flag calls by paying attention while you work. Everything you need to unlock insights and coachable moments in your agents’ conversations. Shine a light on problem areas and pinpoint training opportunities at a glance. With visibility into every call, you’ll have a clear picture of which agents need help and where. Comment at the exact point in time in a call where coaching feedback should be implemented. Shorten the adoption time of new skills and speed new hire ramp-up with targeted training. Get your agents involved! 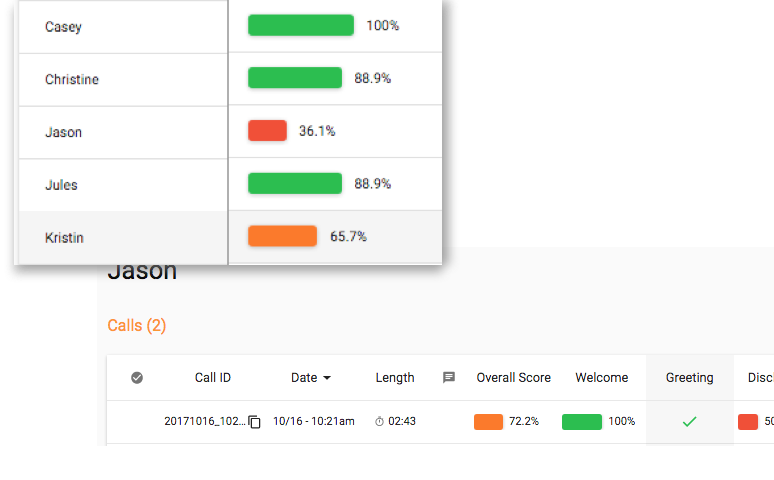 They can log in and access every call they’ve made, understand how they’re being evaluated, and get feedback all in one place. Want to see how Voxjar works on your calls?